In the late 1930s, more than 150,000 volunteers with a love for aviation argued for an organization to put their planes and flying skills to use in defense of their country. As a result, the Civil Air Patrol was born one week prior to the Japanese attack on Pearl Harbor. Thousands of volunteer members answered America's call to national service and sacrifice by accepting and performing critical wartime missions. Assigned to the War Department under the jurisdiction of the Army Air Corps, the contributions of Civil Air Patrol, including logging more than 500,000 flying hours, sinking two enemy submarines, and saving hundreds of crash victims during World War II, are well documented. 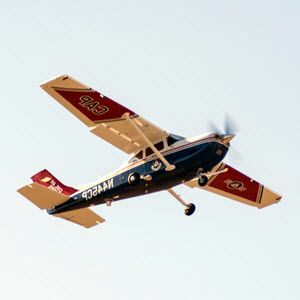 After the war, a thankful nation understood that Civil Air Patrol could continue providing valuable services to both local and national agencies. 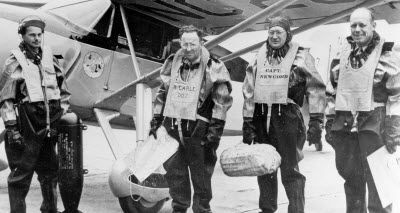 On July 1, 1946, President Harry Truman signed Public Law 476 incorporating Civil Air Patrol as a benevolent, nonprofit organization. On May 26, 1948, Congress passed Public Law 557 permanently establishing Civil Air Patrol as the auxiliary of the new U.S. Air Force.